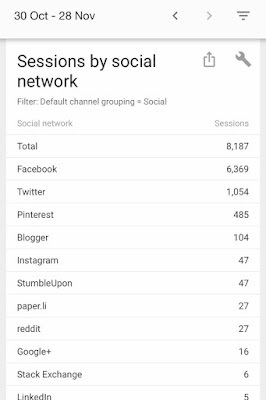 It is often mentioned in the world of blogging that Pinterest is a fantastic source of traffic. Now I love Pinterest but it never really did anything for me in terms of page views - I would do everything that I thought you should be doing - I was verified by Pinterest, making Pinterest friendly images, pinning my blog posts.....but nothing happened. I would maybe receive 10 website referrals per month. I knew there was a lot of potential with Pinterest but I just didn't understand how to tap into it. So after becoming more and more frustrated with an abysmal click through rate on Twitter, I have decided that in 2017 I am going to focus on growing the amount of website click throughs I receive through Pinterest. My goal is 3000 website referrals per month by July. Other bloggers have told me that this is realistic and I could indeed achieve better results so I may change my goal as I monitor my progress. I am setting the foundations and reading up around Pinterest this December with a view to being prepared and ready to go in January 2017. I've been focusing on setting these foundations in place for the last week or so and I have to say, I am pleased as punch with the results. So............what have I changed so far? You can use Picmonkey or Canva to do this for free. The ideal image size for Pinterest is 735 x 1500. I would say I am still developing my style but try and remain consistent. Use the same font for every pinnable image and either use one big image or the same number of smaller images arranged in the same way every time. I like to include the blog post title in fairly large text, my blog url in smaller text and a large image. My personal preference is Picmonkey. It does take some getting used to but after a few attempts, creating these images just becomes part of the blogging process. You should really be adding alt text and title text to every image anyway but it is particularly important for your Pinterest friendly image. 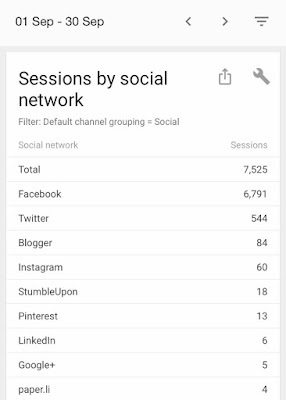 Ensure this text includes a long description of your blog post and all of your keywords as it's the text that is automatically added to your 'Pin' when this image is added to Pinterest. Your pin desciption is important as it's one way people can find your pins. I am part of a fab group 'Pinterest Group Boards' where bloggers post requests for people to join their boards. Every board will have different rules but usually you will have to re-pin one image from the board for every image that you post. This is a simple way to help get your content out there. If you are serious about Pinterest, I highly recommend you join Tailwind. Pinterest is a slow burner so I have committed myself to 6 months and then I'm going to evaluate whether the investment is worth it (so far it has been). Tailwind is basically a scheduling app for Pinterest. It can set up a pinning schedule for you determined by your optimum posting times or you can schedule a pin manually for any time. You can download a chrome extension and basically you just hover over any image on any web page, click on the tailwind sign that magically appears and then select the boards you'd like this to pin to. You then click 'schedule' and it's done. You can shuffle your queue and view it at any time and so much more. This is just the basics if I'm honest, I'd highly recommend you watch the tailwind tutorial videos to find out more. Tailwind is $15 per month but you can sign up for a free month's trial here without the need to input your card details (referral link). Pinning is now part of my daily routine. Every morning after the school run I'll pin my blog post image for that day to my 'North East Family Fun' board. I would highly recommend you set up one board for your blog where you pin every new blog post on the day it is published. Then I will schedule this pin to re-pin to all relevant boards with tailwind, usually 2.5 days apart. This includes my own boards and group boards. So say I posted a cake recipe. On the day of publication, I would pin this to my North East Family Fun blog board. Then over the next couple of weeks it would be shared across any other recipe boards I have or any group boards (where it will hopefully be shared again) and spreading far and wide across the internet. My boards used to be all over the place and looked a right old mess if I'm honest. I would recommend putting your main blog board first, followed by any seasonal boards. Then group the rest of your boards into categories and leave any group boards at the bottom. I designed some quick board headers for my boards using the same font I use in my pins and I'm much happier with how my board looks now. Hopefully it will encourage more people to follow. Speaking of which, you can follow North East Family Fun on Pinterest here. I designed my board headers with Picmonkey - the optimum size is 217 x 146. I have dedicated my Sunday nights to Pinterest and have been going through my blog finding evergreen or seasonal posts that I think will do well on Pinterest - as a rule, for me these have been general parenting posts, blogging and social media posts, recipes, top tip posts, life hacks and travel posts. I've been designing and adding a new Pinterest friendly image to theses posts and then scheduling them across Pinterest via tailwind. I am super new to tribes but ask your blogger friends or put a shout out on Twitter/Social Media/Blogging groups if you'd like to join one. A tribe is a group of people who all post about the same niche. So far I have joined 4 tribes - 1 for family travel, 1 for Social Media tips and 2 for recipes. There are usually around 20 bloggers in a tribe. If you have a Pin you'd like your tribe to share, you simply hover over your pin and then click 'add to tribe'. It's that easy! Like group boards, most tribes have rules such as re-share as much content as you add. I've only properly looked into tribes in the last 24 hours so I'm a complete newbie but so far, this has been the easiest way to get my content out there. You don't need to be a member of tailwind to use tribes but you do if you'd like to use this super easy method. 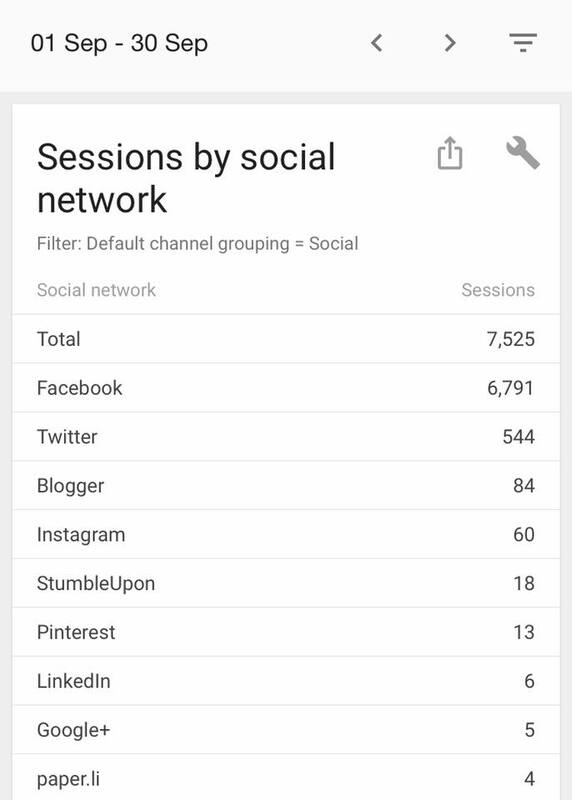 You can view your tribe's content from the tailwind app and simply click which board you'd like to share other people's content to. It takes less than 5 seconds. Also just to note - although tailwind is an app, I actually use it on my desktop. 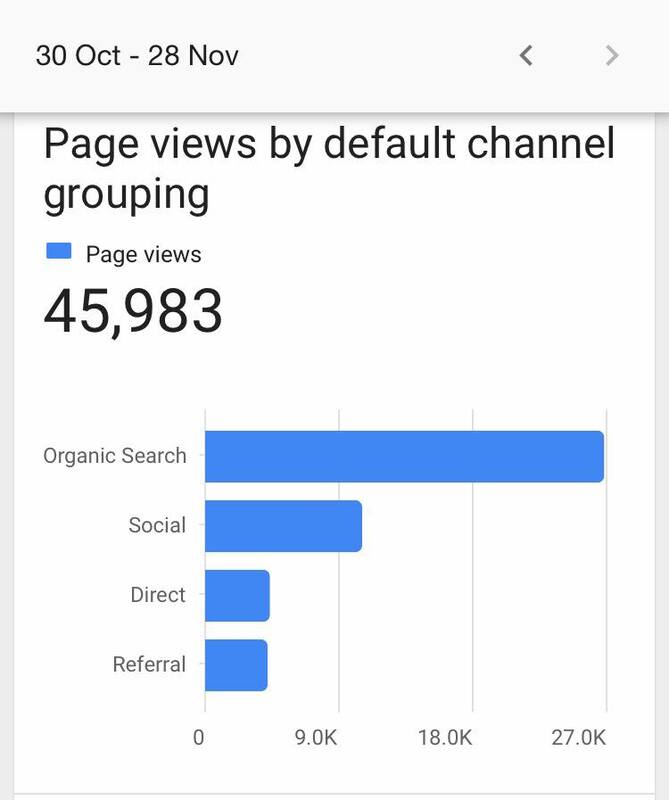 I will start by saying that most of my page views aren't from Social Media and I think it is plain to see from this handy graph (thanks google analytics) that there is room for growth. That's why I'm doing this. 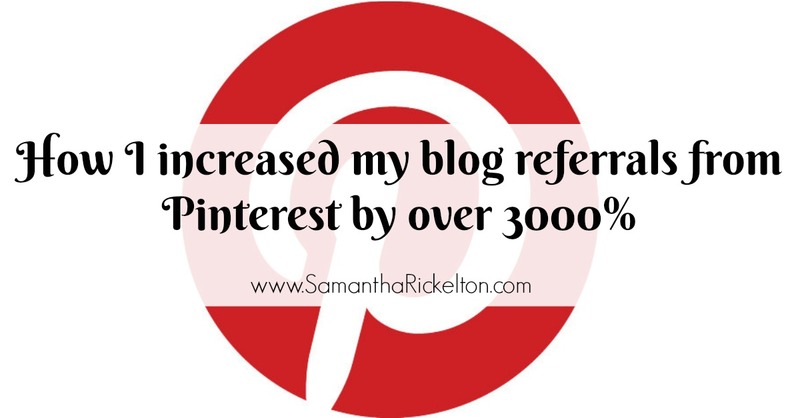 During the month of September, I received a measly 13 referrals from Pinterest. I was actually using Pinterest in this time but just pinning and nothing else. Here are the results for the last 30 days. I've only been using tailwind for the last 10 days or so and it's only really the last 48 hours that I've been using it properly. This is a 3731% increase (unless my math is wrong) which I think is astounding and I absolutely cannot wait to see what the next month or so brings as this is just the start. Pinterest is a slow burner so results don't happen overnight but I hope by putting the ground work in now, it will all be worth it. Don't forget to sign up for your free trial of tailwind here (referral link) and remember, you don't need to enter your card details to try it out and have a play yourself. I'll be back in the New Year to let you know my progress but if anyone has any hints, tips or recommended reading for me around the topic of Pinterest, I'd love to hear them. Great post! We set out saying we were going to focus on Pinterest at the same time and you've done all this great stuff and I've done very little! I need to get my arse into gear with it! This has lots of tips for me to start with as soon as Lena gives me 5 minutes. Also, your search traffic is awesome! 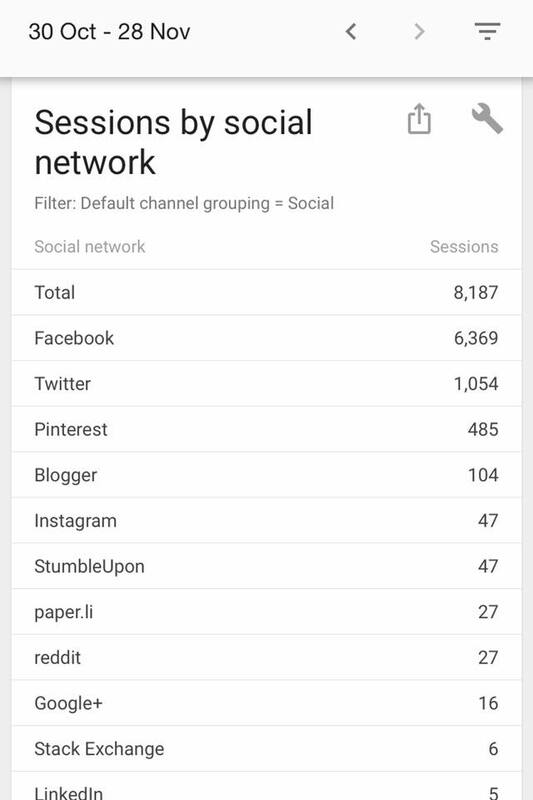 Really good tips for someone starting out with Pinterest - thanks! I still have no idea with Pinterest, it just sits there and I get followed, one day, I'll sit down and use your tips! Some great tips! I really need to get Pinterest rolling too. I need to read up on it first because I just pin random stuff and my boards are probably a mess too! Great run down on how to up your Pinterest game Sarah. I need to find a block of time each week to go through my evergreen content. Good luck with Tailwind. It's going to be interesting to see your results next year! Great tips Sam, and I love how you've organised your boards. I need to up my game with this too, thanks for the inspiration.